Speed Up Your Weight Loss. If you feel like you're losing your motivation, check out these tricks to speed up your weight loss to help you achieve more visible slimming results in the shortest time. Combine the different methods to make sure you strip off those extra pounds in a healthy way. Embrace a slimming project that perfectly suits your lifestyle and preferences. If you're lusting after versatility, there's no need to stick to a well-defined program. You can use some of the pro dietitian tips to sculpt your silhouette. The following tricks to speed up your weight loss are some of the time-tested methods on how to boost your metabolism and contribute to the quick elimination of fats and free agents from your organism. Revolutionize your meal plan using a few helpful solutions to tame your cravings and consume only the healthiest meals. Keep a keen eye on what you stuff your body with and make sure you opt only for the healthiest ingredients. There are super-foods you can include in your menu that contain less calories than your organism actually burns to digest them. These healthy veggies and fruits are perfect snacks to control your lust after sweet treats and refreshing servings. Eat watermelon, blueberries as well as grapes and pears to pamper your tasting buds with a delicious dessert. Furthermore, if you're more fond of tasty vegetables, you can go for lettuce, celery, cucumber and green beans. It is one of the essential vitamins to keep your organism in top shape. Moreover, magnesium is essential for a perfectly functioning metabolism. Those who neglect the importance of this nutrients might struggle with weight gain. Contribute to the elimination of free agents from your body and ultimately to weight loss by taking supplements or consuming foods that contain this healthy ingredient. Some of the foods that contain magnesium are: figs, banana, almonds, tuna, artichoke, beans as well as tomatoes and spinach. 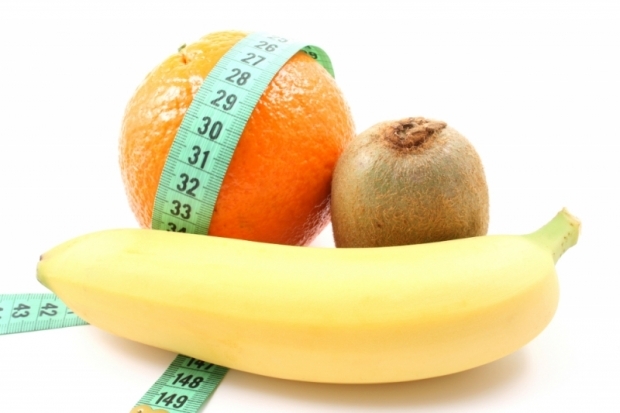 Some diets encourage you to skip breakfast or consume only a fruit to tame your hunger. However, pro nutritionists claim that the first meal of the day is the most important one and can boost the functioning of your metabolism. Therefore, make sure you have a generous snack to fuel your body with the necessary energy to break down fat and eliminate toxins from your organism. In order to make sure you don't feel any sense of guilt for snacking, prepare a breakfast low in saturated fat. Learn the most widely known trick to boost your metabolism and speed up the weight loss process. Drink at least 8 cups of water per day to make sure you stay hydrated. Furthermore, if you want to make sure you do everything to lose weight drink icy water. The organism will burn calories to keep the body temperature on the proper level contributing to visible slimming. Cold water can save you from losing motivation while on an exhausting diet. Let this essential vitamin do the slimming job for you. The consumption of foods high in calcium can contribute to the proper functioning of your metabolism. Include low-fat cheese and yogurt along with cabbage and broccoli into your diet. These ingredients will speed up the process of eliminating and breaking down of fat. Take full advantage of healthy ingredients to build up a versatile eating plan.